What are the most common mistakes that one can make while filing a third-party claim? Check out the correct procedure for filing third-party claims. 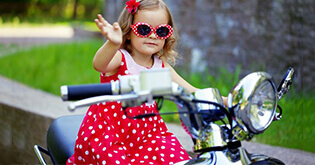 Filing a two wheeler insurance claim, just like the car insurance claim, appears very simple. But, in reality, it can get a bit tricky. It is very likely to get something or the other wrong. And remember if you ever make a mistake in filing claim, there is a good chance that the two wheeler insurer will reject it. Follow our advice to file a compelling insurance claim, especially a third party one. 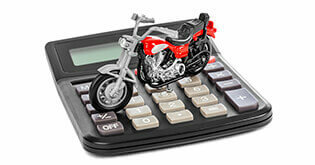 In the field of insurance, and therefore also the sub-field about two wheeler insurance, statistics is king. No wonder the following statistical figures strikes fear in the heart of people in general, and insurance companies in particular. Compared to car accidents, the chances of suffering bigger injuries is more prevalent in the case of two wheeler mishaps. You would say that’s why there are two wheeler insurance plans, to protect all those who ride around on their two wheelers. 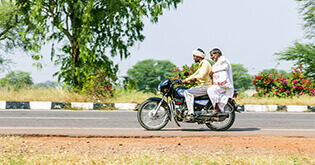 But do you know how to claim third party insurance for two wheeler accidents, and what mistakes to avoid when you do so? Well, high time you find out if you want to continue riding your two wheeler stress-free and for a long time. Third party insurance is mandatory as per the Motor Vehicles Act, 1988. As per laws, the owner of the two wheeler that caused the accident is legally liable for any injury or damage to third party life or property. 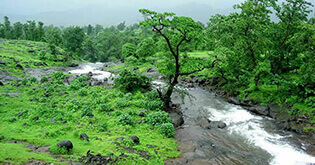 Therefore a third party insurance is designed to protect the owner of the two wheeler in such unfortunate incidents. What does Filing Third party Insurance for Two Wheeler Claim involve? Similarly, even if you are a victim who has suffered injury/losses due to any two wheeler, you can also file a claim on the third party insurance of that two wheeler. Ajay was on a two wheeler when it was involved in an accident with a truck where due to the truck-driver’s negligence, he was hurt and injured. He files a third party insurance claim against the driver's vehicle insurance company for reimbursing his medical bills and other damages related dues. Of course, Ajay has to be adjudged as NOT having been at fault for this accident in the first place, for the proceedings to carry on. Permanent Total Disability of the insured vehicle owner or driver. While there is no particular limit on liability for injury or death, the cover for third party property damage is up to Rs. 7.5 lakh. However, not many people seem to remember or intend to claim third party insurance for two wheeler when their two wheeler is hit by another vehicle. Most people start out with the intention of doing this, but feel compelled to drop the claim midway upon learning about the many complications involved in the third party insurance claim. The beginning is always the same. Following an accident, the first thing to do is to call the police. That is the correct thing to do legally, and the FIR is a mandatory document that will support your two wheeler insurance claim as well as third party insurance. Never delay or miss out on this part of the process. We repeat, NEVER. Always inform your insurance company or agent as soon as an accident or loss has taken place, or with minimum delay. Most companies have a window of 48 hours from the time the accident occurred to be notified. Respect the rules and call the company or agent at the first opportunity. Breaking the rules have severe consequences, so avoid doing so. At the scene of the accident, try to take photographs of the damage to your two wheeler, your injuries, the other party, the accident, etc. Photographic evidence is one great way of capturing the incident in all its vivid details for rechecking in the future. Never forget to note down the names and numbers of any witnesses who are willing to help prove your insurance claim. Remember to take down the insurance details of the other parties involved in the accident as well. While these are optional steps in the procedure, try to carry them out as they bolster your case. Be honest and prompt at all times with the insurance company. Never hide details that may later show you in a poor light. Always bear in mind that failing to disclose the truth can work against you as it may invalidate your policy or may even cause your claim to be rejected. Register a case with the special Motor Accident Claims Tribunal court with jurisdiction over the area where the accident took place. You may also opt to file the complaint with the tribunal court with jurisdiction over the area where the other party or you, the defendant, live. Remember that civil courts are not equipped to decide third party insurance for two wheeler compensation claims. So please abide by the law and follow the required steps. It is advisable to keep detailed notes of all conversations with the insurance company representatives, along with names, job titles of people you speak with, for future reference. Never miss out on this. From the time of the accident until the final settlement, save all receipts (such as of meals, lodging, and purchases made) regarding pursuing your claim or recovering from your injuries. The best way to do this is to maintain a file and keep all these documents in it. Avoiding running away from the scene of the accident. Do not move your two wheeler or the others’ from the scene. Check if medical aid is required and arrange for it. 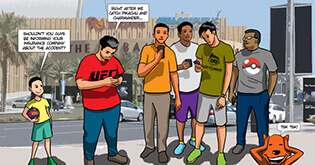 Avoid skipping to call up the police. If the other involved parties try to arrive at a settlement with you without informing the police, this is an illegal turn of events that you must strictly avoid being party to. Remember that the FIR will help in filing your insurance claim, so never skip this all-important step. Avoid getting stressed. It is natural to get stressed under these circumstances and end up being aggressive and angry or being submissive and accepting the blame and legal liability of the accident. DO NEITHER. Also importantly, avoid riding your two wheeler under the influence of alcohol or other intoxicants, or indulge in malicious, illegal driving. Avoid employing your two wheeler for commercial use. Remember if you have to claim third party insurance for two wheeler, these actions will cost you the right to claim. Avoid missing any of the prescribed post-accident formalities or the time limits within which to file them. 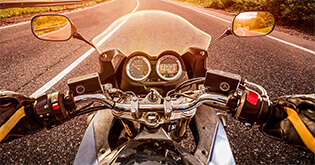 Collect all the necessary documents from all quarters and file a convincing third party insurance for two wheeler claim as promptly and correctly as you can possibly. Avoid signing any releases to the insurance company until you obtain legal advice or believe that the first estimated value provided by the company is the ultimate. Finally, avoid accepting any check that says ‘final payment’ unless you are ready to do so. Claiming third party insurance for two wheeler accident is, as you can see, a tedious process. But if you can follow it thoroughly most of your damages will be made right, so please avoid these common mistakes while filing them.